NEW YORK— August 27, 2018 –Watermark, the largest provider of educational intelligence solutions for higher ed worldwide, is pleased to welcome one of its newest institutional partners, Donnelly College in Kansas City, Kansas. Accredited by the Higher Learning Commission of the North Central Association of Colleges and Schools, Donnelly College has selected Watermark’s educational intelligence systems for the assessment of student learning across campus. Focused on advancing learning by centralizing its assessment planning processes, Donnelly College adopted Watermark for its ability to integrate programs’ efforts around outcomes assessment as well as evaluating program efficacy. With a goal of increasing efficiencies and creating a more holistic integration of institutional effectiveness processes, Donnelly College plans to leverage Watermark 1) to support course-based assessment within its programs and General Education core, 2) to implement ePortfolios to assess student growth and increase post-graduate preparedness, and 3) to generate institutional data reports that will increase transparency and help the institution demonstrate evidence of learning and outcomes improvement across campus. “We believe that Watermark will be vital in our ability to assess student learning and gather meaningful data that will allow us to improve both student outcomes and instructional design. The ability for our faculty and other instructional personnel to view target sets, goals, outcomes, and methods of assessment will be a fantastic step in representing what we as an institution hope to achieve and how we work to put students first,” said Lisa Stoothoff, Dean and Acting Vice President of Academic and Student Affairs for Donnelly College. 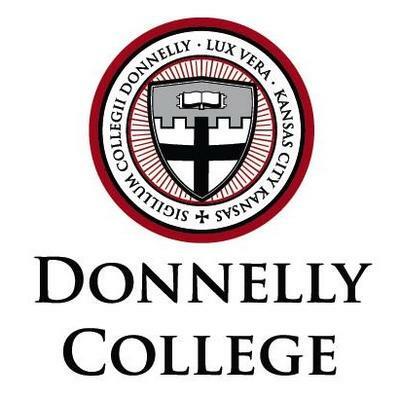 “We’re honored to have Donnelly College as our newest institutional partner. We strongly support the institution’s focus on student success. We look forward to helping the College simplify and integrate its assessment planning processes in order to gather the data needed to demonstrate outcomes improvement. Our goal is to provide our partners with better data so they can focus on learning from that data and using it to make meaningful improvements that impact students,” said Kevin Michielsen, CEO of Watermark. Founded by Bishop George Donnelly and Sister Jerome Keeler in 1949, Donnelly College is driven by a mission to provide a Catholic-based education and community services to those students who might not otherwise be served. With more than 500 students using Watermark across campus, Donnelly is poised to streamline and centralize its institutional and assessment planning processes in order to use its data to make meaningful outcomes improvements at all levels.